In today’s complex construction environment our innovative expertise, analysis and carefully crafted approach can bring security to construction process. 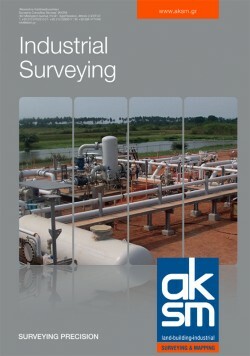 AKSM implements high accuracy applications which allow us to survey with pinpoint accuracy for industrial projects. Our experienced staff at AKSM supports manufacturers in a wide range of construction process in order to meet specifications in terms of precision. We provide measurement data with high precision for accurate information on the size, shape and position of objects. We can carry out spot on measurement on site with the advantage of the latest technology.